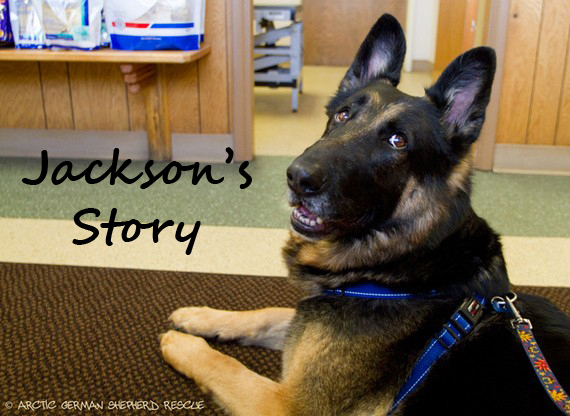 Jackson came to the rescue in October of 2012 suffering from a chronic dislocated hip resulting from a car accident in 2010. 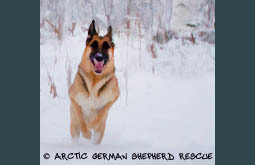 He had been living with terrible pain for at least two years before he was rescued. On December 12, 2012 he underwent FHO (femoral head ostectomy) surgery, the surgical removal of the head and neck of the femur (the "ball" part of the ball-and-socket that makes up the hip joint). 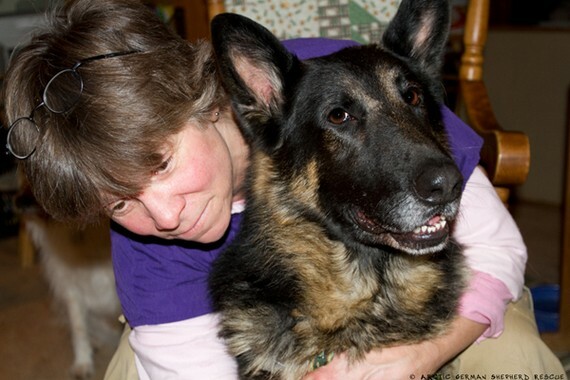 In 2014 he developed Pannus, an autoimmune problem of the eye common in shepherds, and recently we were told he may have degenerative myelopathy, which is a incurable, progressive disease similar to ALS (Lou Gehrig's Disease) in humans. Without an MRI, we cannot be 100% sure if it is DM or another neurological disease, but the end result is the same. 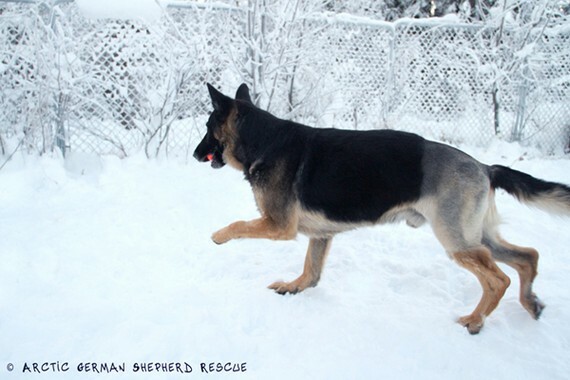 Further surgery is unfortunately not an option for Jackson, but pain management and rehabilitation is. Jackson has been on Tramadol for pain for quite a while now and our major concern is to make sure he remains as active and comfortable as possible. 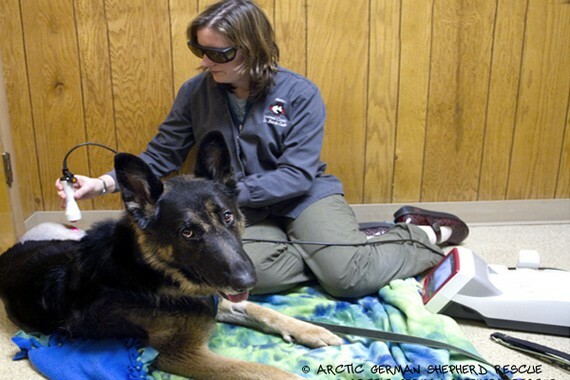 He is currently doing underwater treadmill exercise and getting laser treatments to help with pain and mobility. 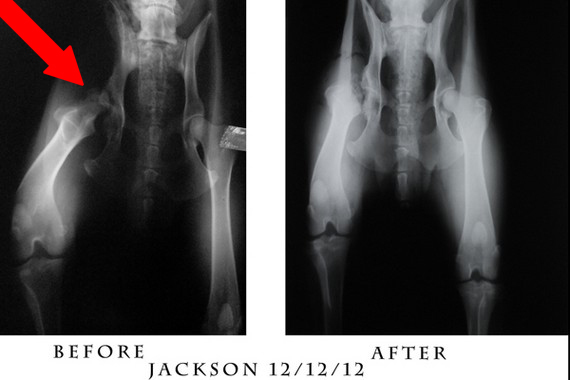 Jackson's X-rays before and after surgery. The Xray on the left shows the right hip dislocation (viewer's left side). Jackson being moved to the operating table. 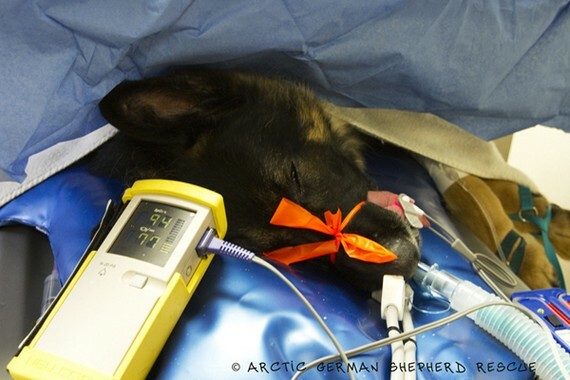 Jackson under anesthesia in preparation for surgery. 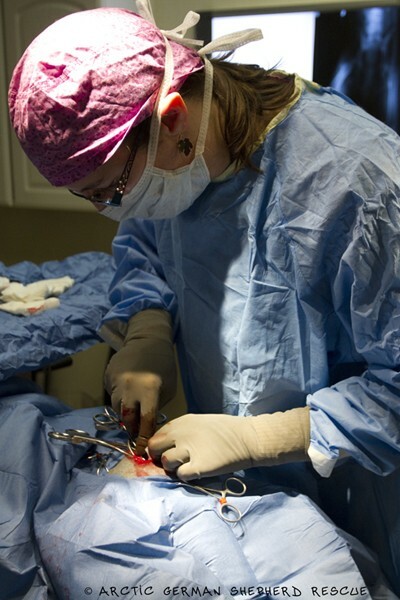 Jackson's FHO surgery: a view of the incision. 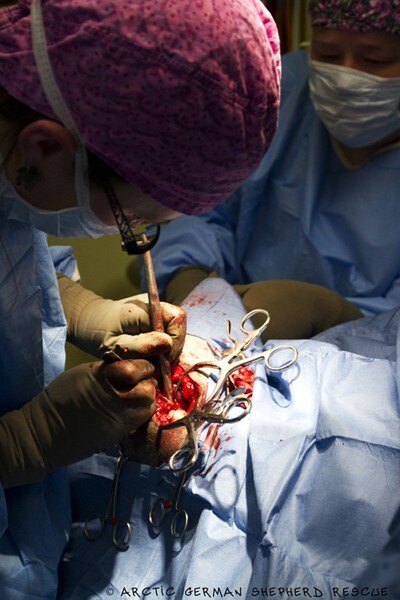 Jackson's FHO surgery: inside the hip joint. 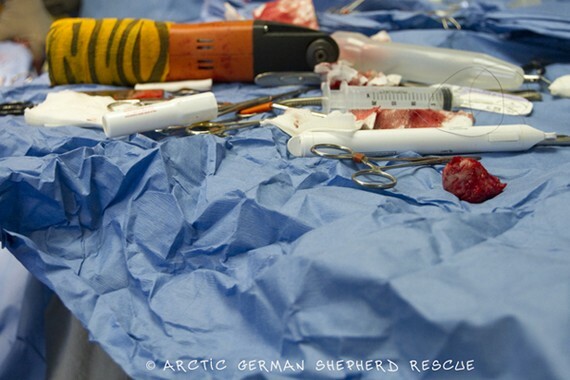 Jackson's FHO surgery: the bone removed from the femur. 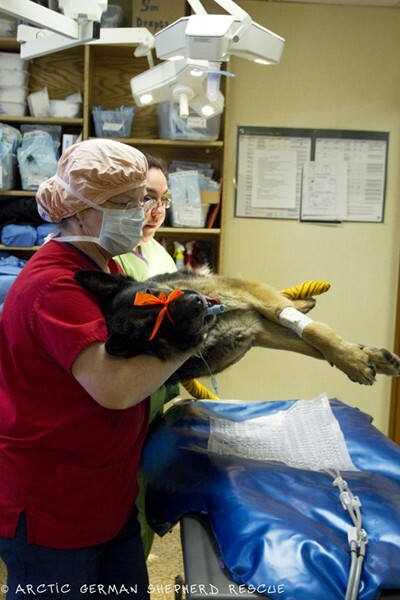 Jackson's FHO surgery: waking up from anesthesia. 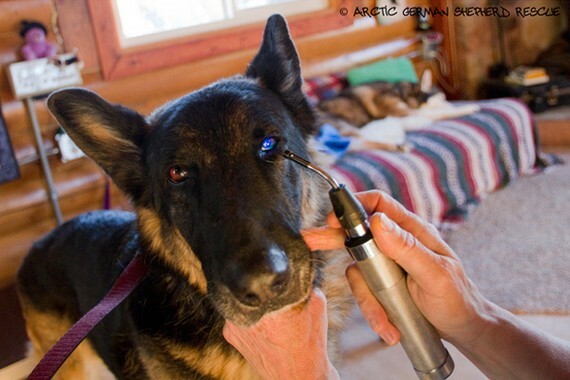 Jackson getting laser treatment from Dr. Cole. 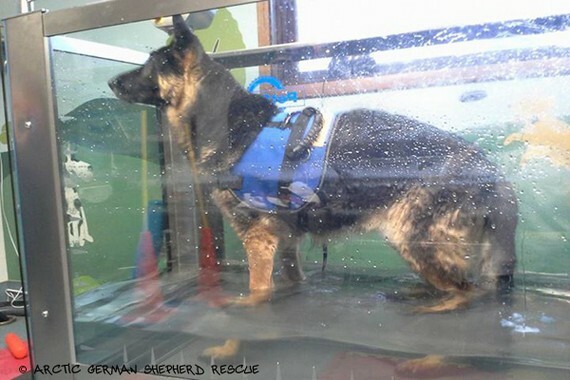 Jackson in the underwater treadmill. 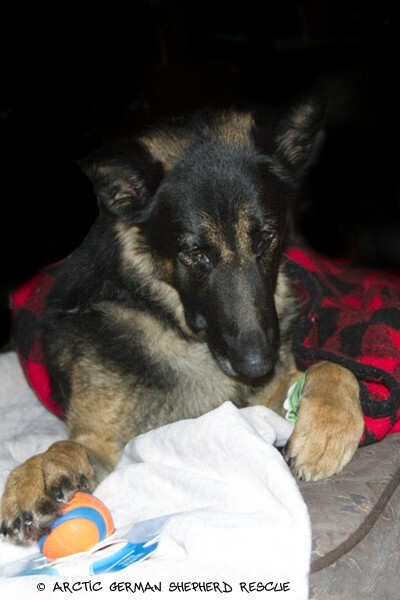 Jackson being diagnosed with Pannus, an automimmune inflammation of the cornea of the eye which is common in shepherds. We are hoping the best for Jackson's long term prognosis. 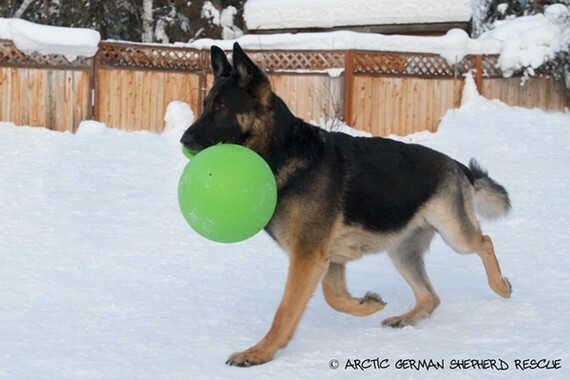 Our goal is to keep him happy, active and control his pain to preserve a good quality of life.